Is It Time To Move Your Site To HTTPS? For a while now I've been following SEO experts and learning as much as I can about SEO to improve my own website and my client's websites. I've heard multiple times about how having a secure site (https) is a ranking signal for Google. Although Google doesn't really put out a list of all their ranking factors, this one they did mention and encourage. Google has said this more than once so I figured it was time. If you look at many of the trusted sites on the web, you'll notice they are using HTTPS. With all of the security issues online these days, it is a little more comforting to know that a website you're visiting and potentially purchasing from is secure. 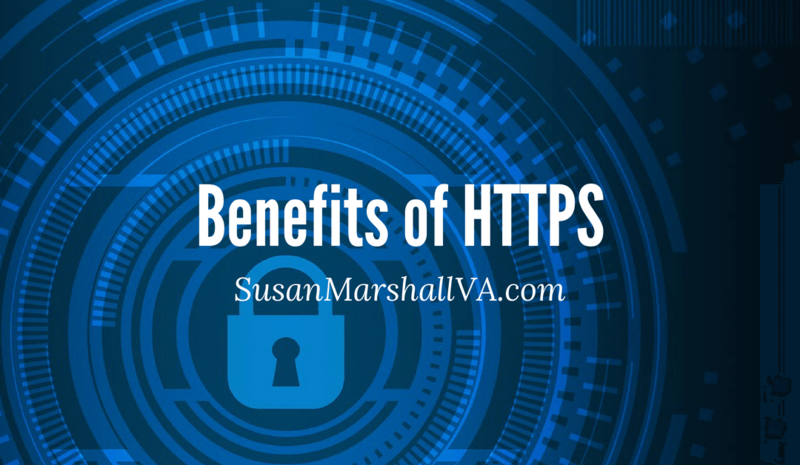 Having HTTPS helps protect the integrity of your website and the privacy and security of your users. HTTPS is the future of the web even for sites that don't process sensitive communications and data. According to Google Chrome, web visitors should expect safe browsing by default and only be warned when there's a problem. Soon all pages not secure will be clearly marked showing the red “not secure” warning. And those that are secure will eventually default to unmarked. That means no lock icon or “Secure” indicator. The expectation will be all sites are secure and those that are not will be clearly marked. These changes are slated to be rolled out beginning in September 2018 with the red warnings in place in October 2018. You can check out the Google Chromium Blog for a visual image of what this will look like. When you're ready to move forward with https and an SSL certificate, check with your web hosting provider first to see what they offer. Certificates are installed on the same server that hosts your site so it makes sense to keep those together. If you don't have access to a free SSL or find that you need one for multiple domains, you will need to pay for this addon to your account. In most cases, you'll just need the basic SSL certificate but check with your web host for their advice first. Once you get your SSL certificate installed, you can test it here on SSLlabs.com. If you still have questions, please leave them in the comments. UPDATE: I just discovered that one of my BlueHost clients can get an SSL for free for WordPress websites only. So if you are a BlueHost customer, this may be a good and free SSL option for you. Chrome is really pushing hard for websites to get SSL certificate with its red warnings in October 2018. It is the right time to move to HTTPS if not already. You are right, sooner everybody has to think about it.